‘Ein Starkes Team: Tödliche Botschaft’ is now available to watch on ZDF Mediathek. To watch the movie click here. Episode 2 of ‘The A Word‘ written by Peter Bowker and directed by Peter Cattaneo will be aired on Tuesday 29th March at 9 p.m on BBC1. Julia will appear in episodes 2, 3, 4 and 5. ‘Ein Starkes Team: Tödliche Botschaft’ written by Jürgen Pomorin and directed by Maris Pfeiffer will be aired on Saturday 2nd April at 8.15 p.m. on ZDF . Julia is currently filming ‘The A Word’, a new six-part drama for BBC One. Written by Peter Bowker and directed by Peter Catteneo, the series is produced by Fifty Fathoms, Tiger Aspect and Keshet UK. Late spring broadcast is anticipated. Click here to read more about the production. Julia has just started filming a German television movie in Berlin “Ein Starkes Team: Tödliche Botschaft”, directed by Maris Pfeiffer. The film is produced by UFA Fiction for the German channel ZDF. “Der Pfarrer und das Mädchen” by Maris Pfeiffer will be aired on Friday 3rd April in Germany on ZDF at 21.15 . 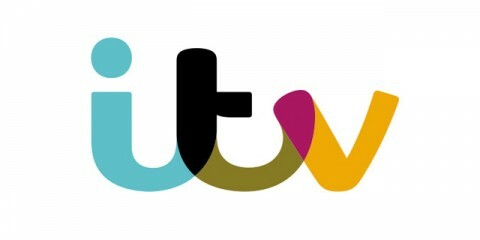 Julia is currently filming ‘DCI Banks’ (ITV), directed by David Richards and produced by Left Bank Pictures. Julia has just completed filming ‘Avengers: Age of Ultron’, directed by Joss Whedon and produced by Marvel Studios. The film is scheduled for release in May 2015. Julia has just finished filming ‘Undocument’, a four-part feature film by Kyla Simone Bruce and Amin Bakhshian. She plays the part of Laura in ‘Build’, written and directed by Kyla Simona Bruce. To read more about the film click here. Julia is currently filming ‘Der Pfarrer und das Mädchen’, directed by Maris Pfeiffer and produced by Ufa Fiction/ZDF. Read more here.